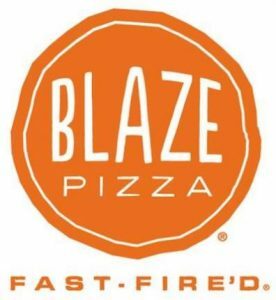 We hope you will join us all after Open House and support our fabulous PTA at Blaze Pizza in Newtown. What a perfect way to kick off a new school year- Open House, pizza, family, and camaraderie! Thank you for all you do to support our PTA and your child’s success here at DJ. First Day of School- Sept. 5th! Can you believe the first day of school is upon us! It promises to be a WONDERFUL year here at DJ. We CAN NOT wait to welcome your child to another school year. The first day of school is Tuesday, September 5th. https://wjccschools.org/djm/wp-content/uploads/sites/15/2014/05/logo.png 0 0 Amy Mabe https://wjccschools.org/djm/wp-content/uploads/sites/15/2014/05/logo.png Amy Mabe2017-08-23 22:13:562017-08-23 22:13:56First Day of School- Sept. 5th! Back to School Night Oct. 5th! We hope to see you all at Back to School Night on October 5th from 6-8 PM. Come to DJ to learn more about your child’s journey at school this year. We will start in the gym with important information from our PTA and principal and then head back to individual classrooms. Please contact your child’s teacher or the main office at 258-3022 with any questions. Thank you for taking this important step to support your child’s learning. https://wjccschools.org/djm/wp-content/uploads/sites/15/2014/05/logo.png 0 0 Amy Mabe https://wjccschools.org/djm/wp-content/uploads/sites/15/2014/05/logo.png Amy Mabe2017-08-23 22:12:172017-08-23 22:12:17Back to School Night Oct. 5th!